We provide meaningful employment for local residents who have experienced mental illness and best-of-market, environmentally-friendly cleaning services to Metro Vancouver clients. Light Duty Cleaning: vacuuming, sweeping, mopping, dusting, trash removal, restroom care, kitchen cleaning, spot cleaning of doors, walls and windows. Floor Care: buffing, scrubbing, stripping, waxing, carpet cleaning. Project Work: We’re happy to work on special cleaning projects as they arise. Right from the get go in 2004, The Cleaning Solution adopted a green cleaning program to better serve our clients. Simply put, green cleaning is a way to clean that protects human health without hurting the environment. The Cleaning Solution is made up of a committed and inspired group of staff members and volunteers with a wide range of backgrounds. 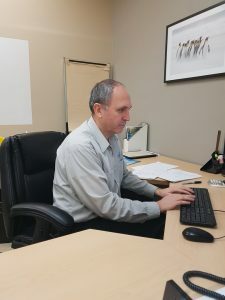 A Vancouver resident with 25 years of professional cleaning experience, Jack is our service delivery expert. His extensive knowledge of the industry keeps TCS on the leading edge of process and product improvements. Jack sees the company as a great opportunity to change the public image of mental illness. He enjoys demonstrating that a business employing individuals recovering from mental illness can succeed in a competitive marketplace. Jaclyn started working as a cleaner with TCS in 2009, with her strong decision making and communication skills she quickly moved to a supervisory role where she worked closely with cleaners to ensure high quality standards for our clients were met. 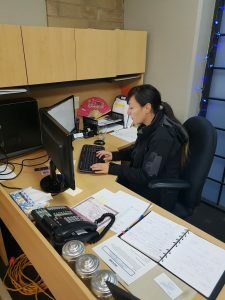 It quickly became apparent that her abilities were more suited in a leadership role and she is now the Operations Manager of The Cleaning Solution and a valuable member of our team. Since 2004 we’ve been building our business and reputation by exceeding our customers’ expectations in all respects.